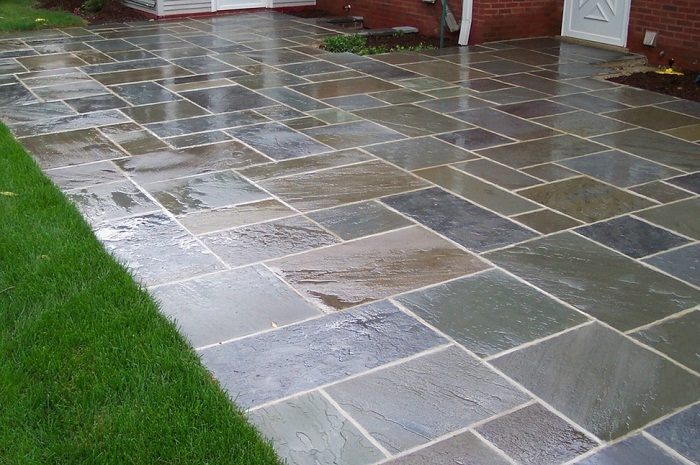 The problem of most homeowners is the penetration of water on natural stone walkways, patios, pathways, porches and pool decks but Wakefield Mfg. has introduced an effective solution to enhance and protect natural stone. A penetrating natural stone sealantis applied to the masonry as soon as mortar has been completely cured so that the mortar joints will be fully saturated. There is a lot debate on whether natural stone must be sealed. All natural stone surfaces must be applied with a sealant for maximum protection. However, not all stones are porous. This means that a very little amount of natural stone sealant is required to achieve maximum protection. When choosing a sealant, it is important to determine the porosity of the natural stone. For example, granite has a higher absorption rate than polished marble. Limestone on the other hand is extremely absorbent. If the natural stone used has a high absorbency rate, it will be more difficult to apply adequate sealant that will cover the surface completely. Another factor that can affect the choice for a natural stone sealant is surface finish. It is important to perform an absorption test because a polished surface is less absorbent than natural stone that has been honed or flame-finished. Where the natural stone will be used must also be taken into account in the choice of sealant. Will natural stone be used in the pool deck, driveway or pathway or will it be installed in the kitchen countertop? If natural stone will be used in the kitchen countertop, it is likely to be exposed to stains, spills, oil, grease and water. For best results, oil and water resistant sealant must be used. For the driveway and pathway, a water resistant sealant will be enough to provide protection. If natural stone is used in the lobby of a hotel that is exposed to high foot traffic, a good quality penetrating sealer must be used to leave a slightly natural finish without compromising texture and slip resistance. The hotel floor will be mopped more frequently than a home and this requires the application of a water-resistant sealant for additional protection.